For Memorial Weekend some friends and I decided to go bow fishing in Peru, Illinois. We had done this in the past and it was a lot of fun. I took off Friday because it is a 16 hour drive from Austin. Before I left Thursday night, I got all my MBA homework done. I then hit the road about 6PM. 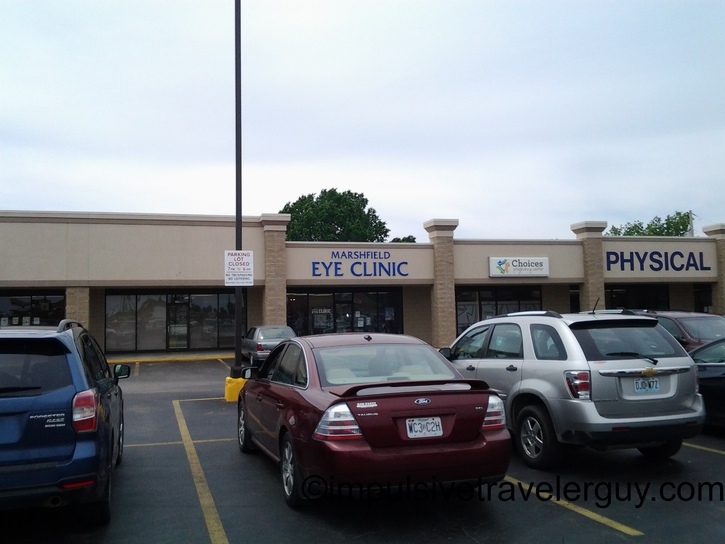 I drove until about 2am and then slept at a travel plaza in Oklahoma on I44. I got a good 7 or so hours of sleep and hit the road again. I decided to catch up with my grandparents as I drove and gave them a call. 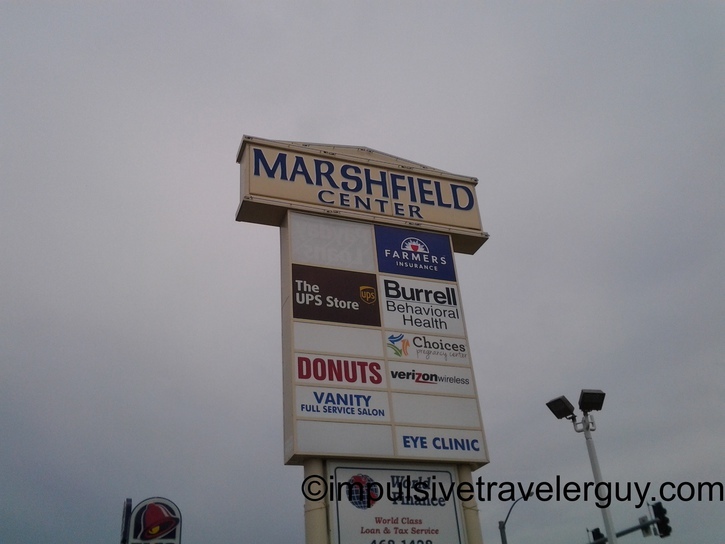 All of a sudden I started seeing billboards advertising Marshfield businesses. 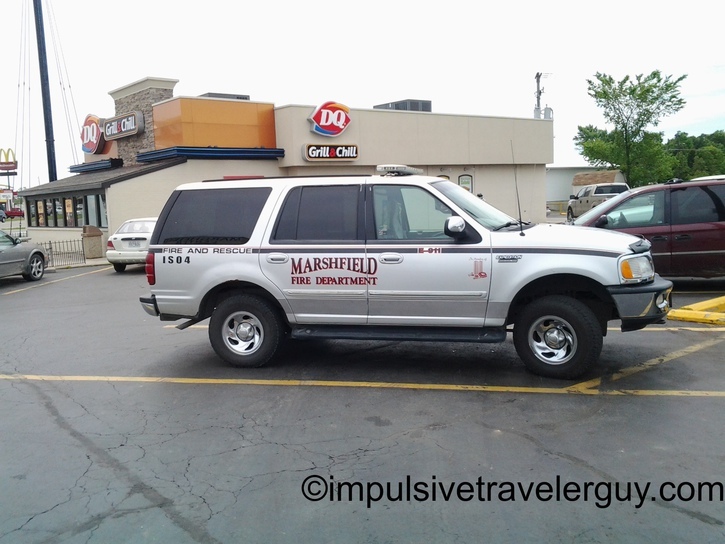 I knew there was a Marshfield, Missouri but I didn’t know where it was. Soon there were signs for an exit for Marshfield so I told my grandma I’d call her back and that I was in a different Marshfield. I pulled off into a parking lot and took a few pictures. 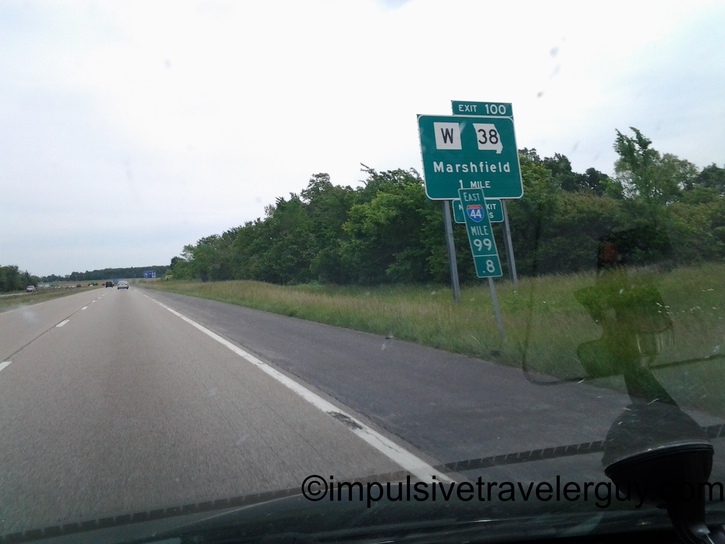 On a previous road trip that I will blog about in the future, I passed through Marshfield, Massachusetts. I guess I can say I’ve been to 3 Marshfields now. I then hit the road, called my grandma back, and finished the conversation.